...Does anybody know who designed it and when? I bought one a while back, and can find out nothing about it. 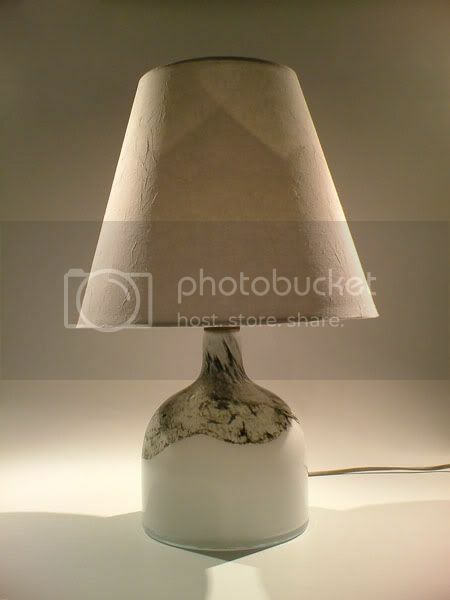 It's often attributed to M. Bang, but sellers always say this is a guess based on the style of the lamp. But I'm unsure about this as other M. Bang lighting I have has the initials M.B. on the foil label. It would be nice to know it's provenance. All info gratefully received. 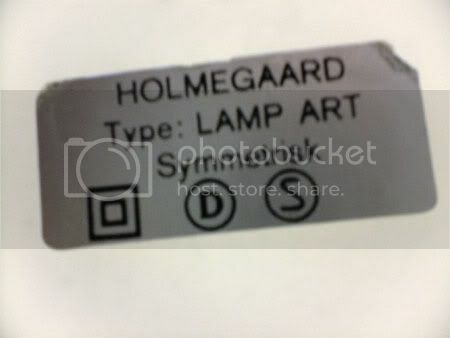 we have got two of these very similar - I can only confirm Holmegaard and that we bought them 1975 as novelty. I've seen a few variations on these. I do prefer the larger ones (especially the ones with reddish-purple patterns that usually look rather like autumnal tree leaves), but alas these rarely come onto the market for a reasonable price. Were they new when you bought them? But if they were new in 1975, that puts them into some kind of time perspective. Thanks. I have to admit, the style does scream of Michael Bang - and the period is about right (there are distinct similarities with Bang's Atlantis range from 1981) - but I don't like to guess at these things.